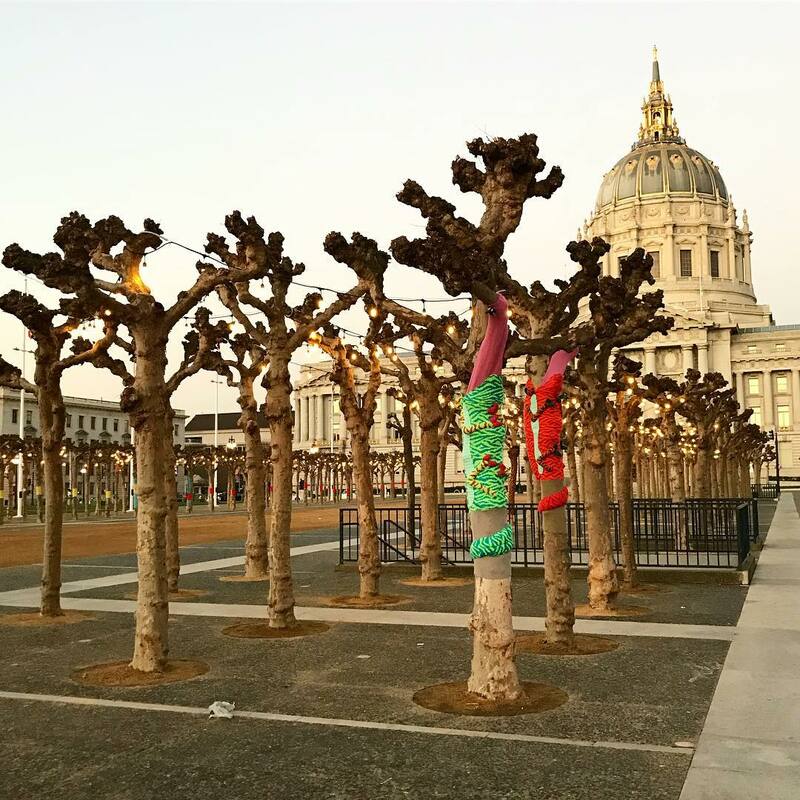 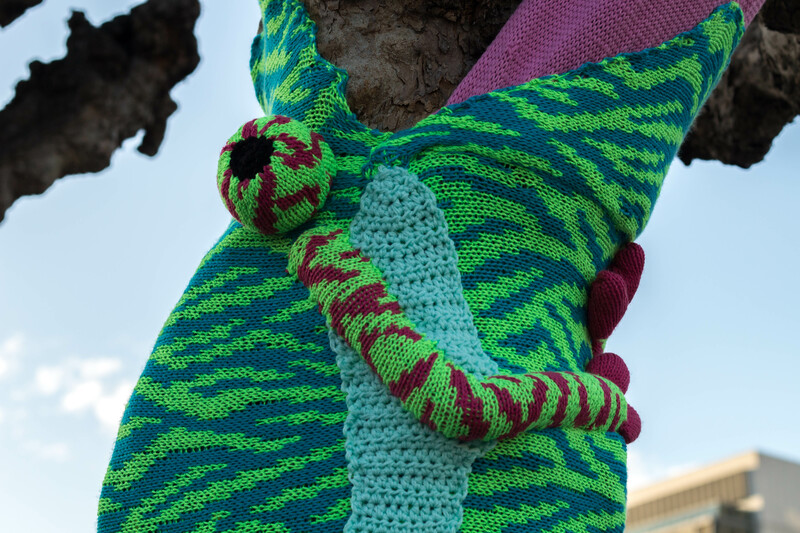 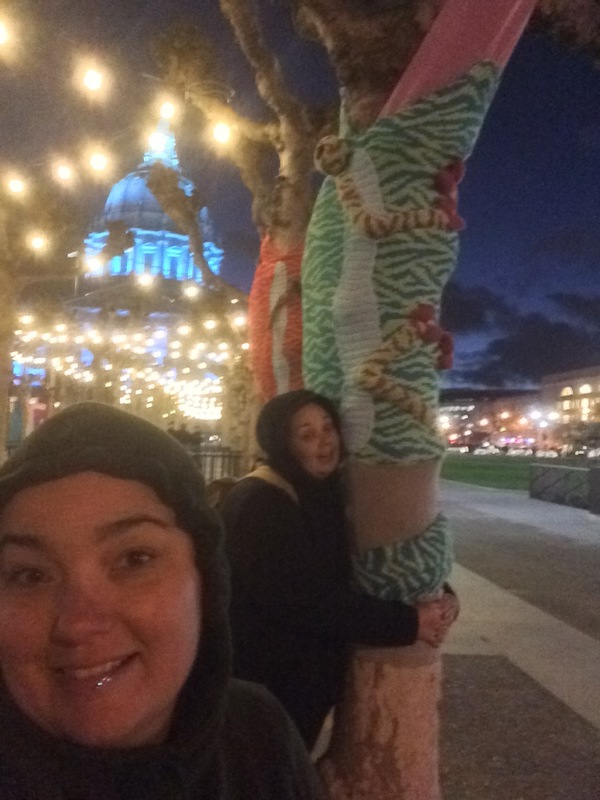 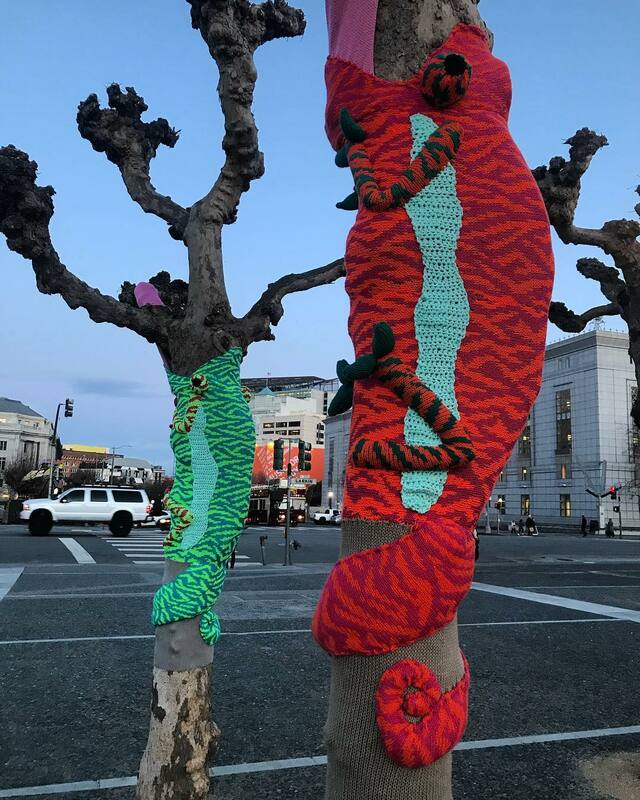 We yarn bombed two more clusters of sycamores in Civic Center Plaza, San Francisco as sea otters and chameleons for the Trust for Public Lands to celebrate the grand opening of the twin Helen Diller Playgrounds. 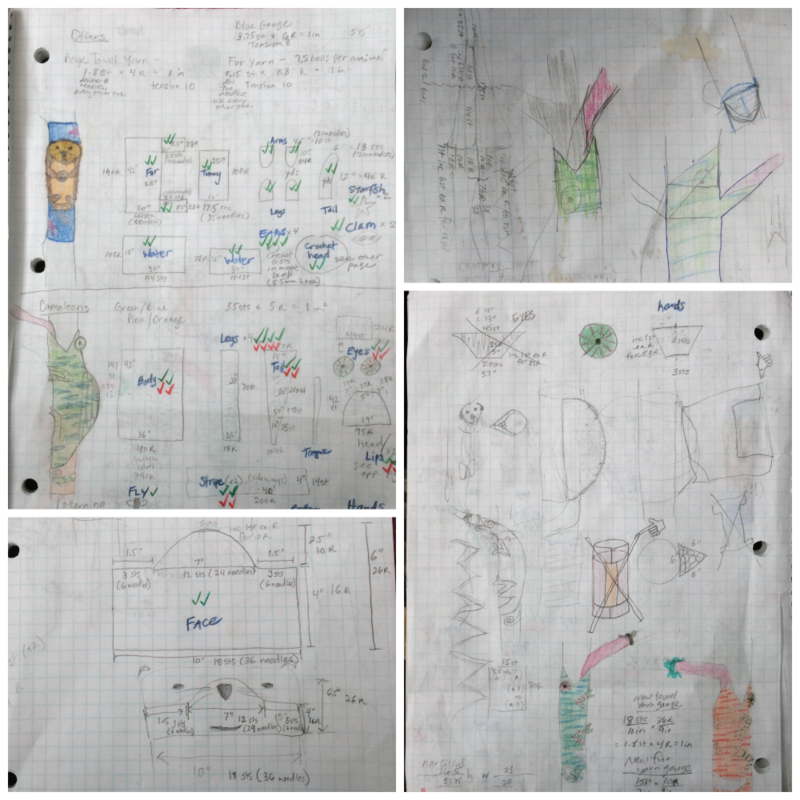 This brings the menagerie to five different animals and 13 trees in total, not including the 60+ colorful bands we did as a trial balloon. 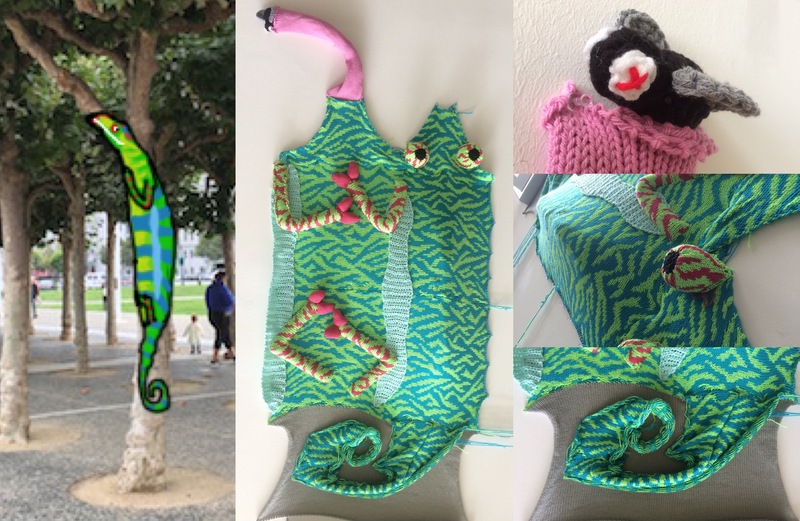 The ongoing project, Knitting the Commons, celebrates the three blocks called Civic Center Commons with an animal theme chosen by the Tenderloin District community. 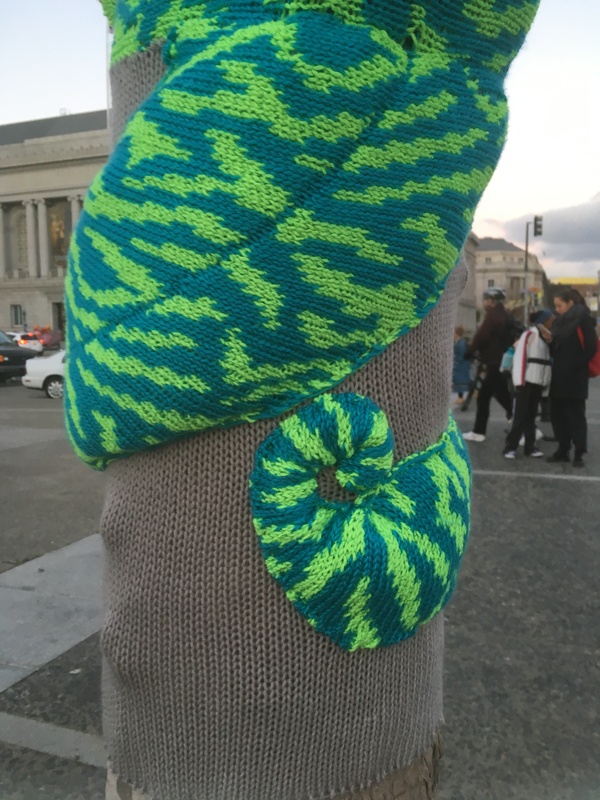 We at Knits for Life selected animals of significance to the city by the bay. 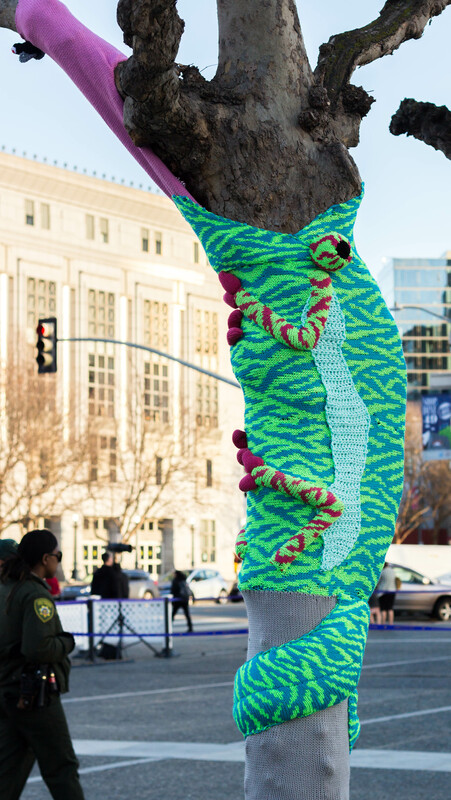 See what it’s like to work with us, or get inspired to yarn bomb your own ideas. 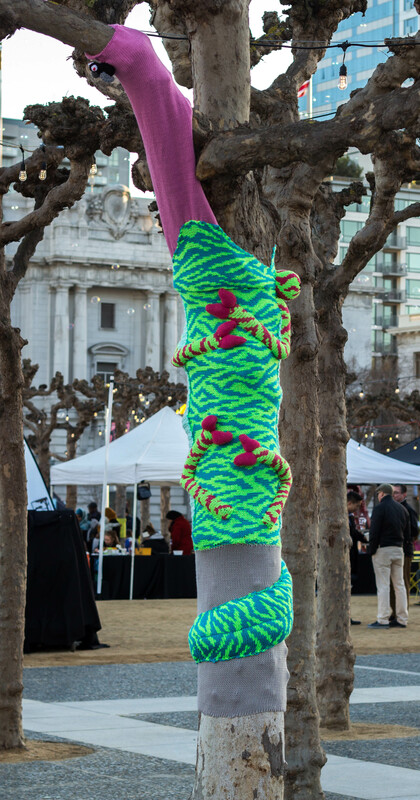 Scroll through our process below, and read more about it over on our sea otter post.